I love breakfast because it always feels intimate to wake up and make something yummy for those you love. But maybe that's because I usually resort to cereal or oatmeal for my kids. 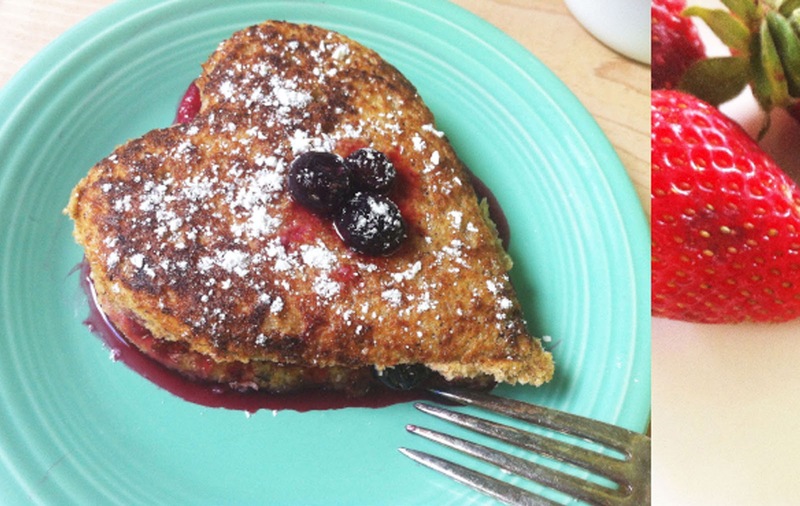 . . One of my favorite treats to make them is heart shaped french toast. For this I made french toast by adding a little coconut milk, vanilla extract, cinnamon and nutmeg to the egg batter. While my french toast was cooking I also cut up some and strawberries added them to a saucepan with blueberries - making a compote by simply letting them simmer in a covered pan to reduce a bit. 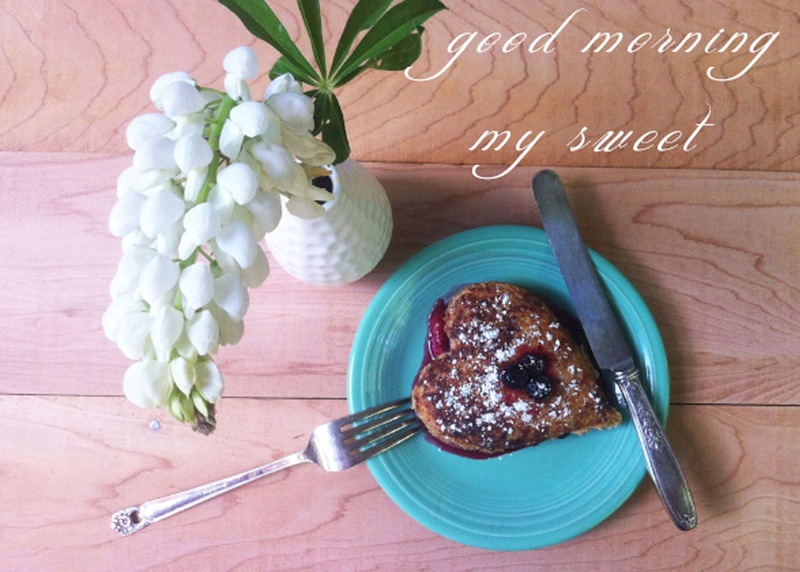 I cut my french toast with a cookie cutter, placed the compote between two the pieces and topped it with powdered sugar. My little ones devoured every bite and I did too!